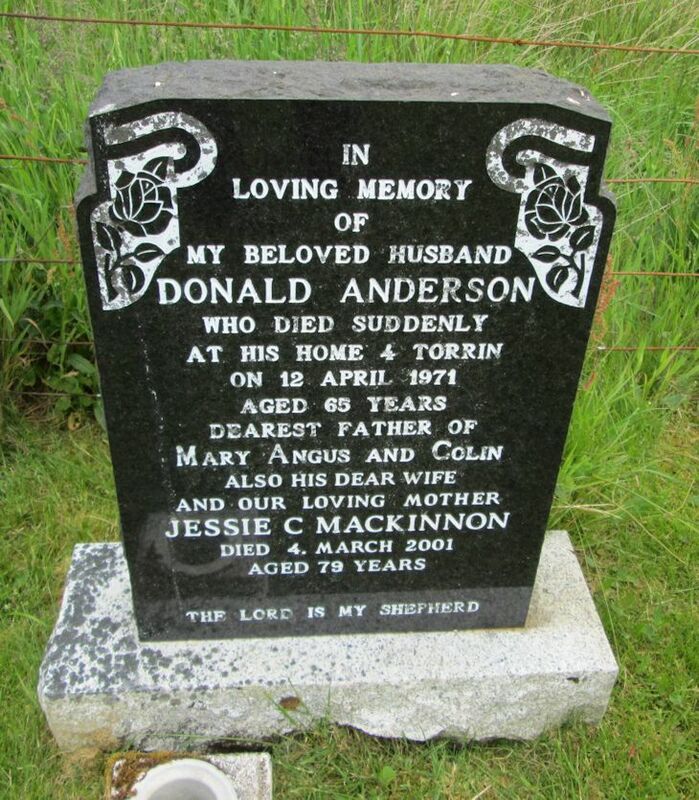 Skye Gravestones | Donald & Jessie (Mackinnon) Anderson. Donald & Jessie (Mackinnon) Anderson. In/loving memory/of/my beloved husband/DONALD ANDERSON/who died suddenly/at his home 4 Torrin/on 12 April 1971/dearest father of/MARY ANGUS and COLIN/also his dear wife/JESSIE C. MACKINNON/d 4 March 2001/aged 79 years. Added by Mary MacKenzie Anderson. on 25 January 2018. Mary, the full inscription is now shown. Added by Roddie Macpherson on 27 April 2018.